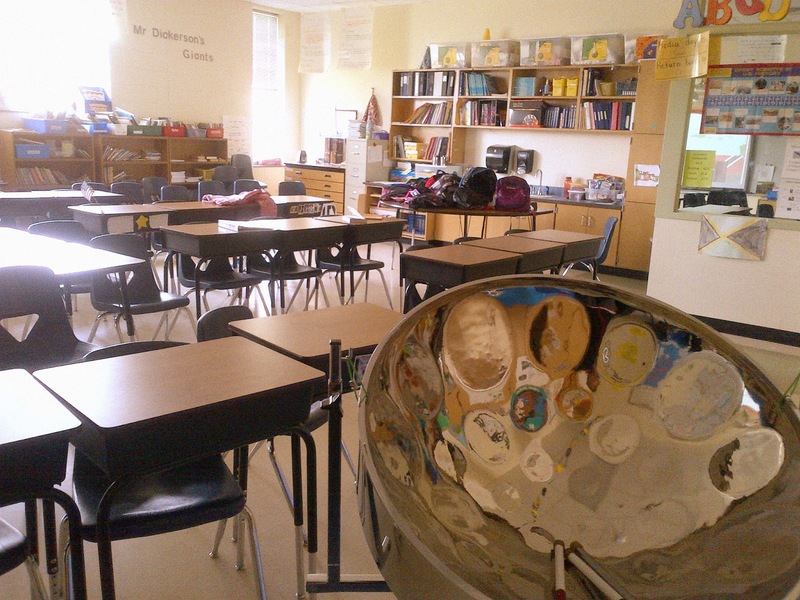 Today I spent the day teaching elementary school students the joys of the steel pan. I must say that they were a very attentive, intelligent lively group. In addition to teaching them the origin of the instrument and how they are built, I gave them a chance to play my drum. Their excitement level really rose as they played along to a reggae accompaniment track. I gave them a choice of 4 notes that were in the proper key of the song and then told them to play whatever the felt. Their eyes lit up in amazement by the beautiful sound of the pan and the fact that they were creating sound in real-time. Its my hope that these experiences shape their self confidence and their appreciation of music in general.